It’s a party! 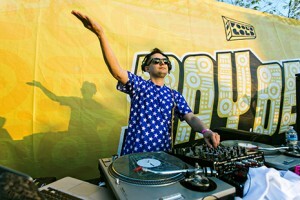 Check A-Trak B2B Mannie Fresh, Valee, Tabby Wakes, and the rest of the fam at Fool’s Gold DAY OFF during Art Basel in Miami. We brought DAY OFF back to Complexcon with A-Trak and friends (including Shoreline Mafia, Leikeli47 and more), World’s Fair and Michael Christmas alongside Vince Staples and other champs. And if that weren’t enough, we also built the Fool’s Gold WORK SHOP on the convention floor. 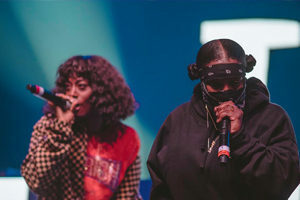 We knocked down Knockdown Center with Sheck Wes, Dem Franchize Boyz, Show Me The Body and so, so many more. We linked with the Saintwoods and Mural Festival crews for a DAY OFF MTL to remember, featuring 88Glam, Smooky MarGielaa, High Klassified, Just Blaze and more. 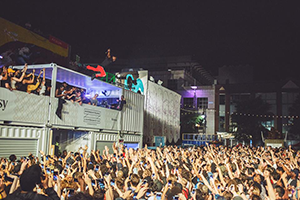 We closed out a year of international FGDO shows with our first London Day Off at Minstry Of Sound, with A-Trak, Busy P, Mercer, Nightwave, Big Narstie and many more keeping it live! 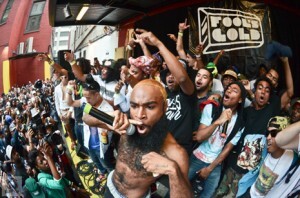 From taking over the Pigeons & Planes stage for a DAY OFF lineup with A-Trak and a zillion more hitters, to launching our pop up record shop THE GOLDMINE (slanging Lugz next to classic 12″s) and keeping the Four Loko DAY OFF booth lit, Fool’s Gold did ComplexCon extra big! 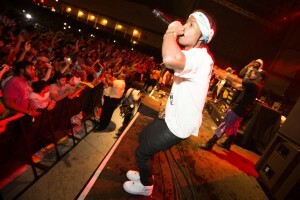 #FGDAYOFF Atlanta was extra wavy! 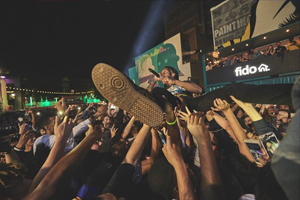 Shout out all our performers and guests, our A3C partners, the Four Loko squad who brought it to you, and of course the ATLiens who partied allllll day long! Peep the recap for legends, new stars and more. MERCI PARIS! 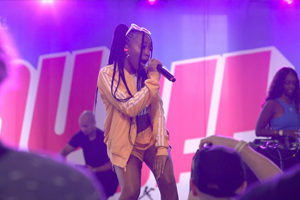 The #FGDAYOFF Yard takeover was legendary, with A-Trak spinning alongside Para One (in a rare hip hop stylee), Nightwave, Drunken Masters and more, with lit performances from Di-Meh & Slimka, Noah Carter, Cahiips and tons of the city’s livest kids getting down. #FGDAYOFF jumped into 2017 with an epic Montreal show. 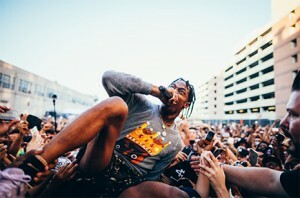 Big love to A-Trak’s hometown, peep the recap video featuring Jazz Cartier, A$AP Nast, High Klassified and all the other performers and party people who made it unforgettable! The hottest thing to hit Cali since forest fires, FGDO blazed thru Shrine Outdoors with another unforgettable lineup. 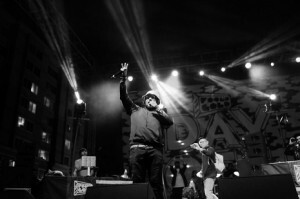 Mac Miller, A-Trak & Friends (including A$AP Rocky, Nast and the mob), Pusha T, the newly reunited The Cool Kids, MadeinTYO, Oshi, Madeaux, Kittens, Nick Catchdubs, Meyhem Lauren and many more hit the stage for a truly killer day. 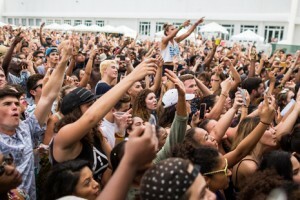 South Florida got a heavy dose of DAY OFF when we brought Joey Bada$$, A-Trak & Friends (including NORE, Mystikal and Orlando’s own Kaiydo) Hudson Mohawke and the fam to Revolution Live in Ft Lauderdale. Lil Yachty had to dip for BET Awards but the boss MadeinTYO popped up in his place to shut it down alongside Playboi Carti, Kirk Knight, Ape Drums, River Tiber, and FG’s own Nick Catchdubs, BOSCO & Speakerfoxxx and Damaged Goods. We brought the whole Fool’s Gold Sound Machine down to Miami for another epic DAY OFF! Rain or shine, it was a litstravaganza for the ages. A-Trak and Mannie Fresh B2B, bringing out 2 Chainz and Juvenile? 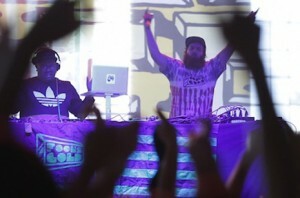 Flosstradamus preaching turn-up gospel to the South Florida HDYNATION congregation, complete with Travis Porter on some live “Drop Top”? 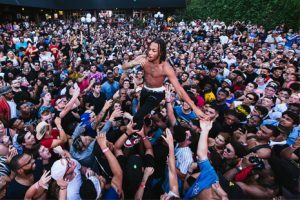 Not to mention Alison Wonderland and Laidback Luke throwing down intense DJ sets, Vic Mensa and Towkio repping SAVEMONEY onstage (and in the crowd), and Denzel Curry, D.R.A.M., Rome Fortune and tons more keeping it sweaty all day long. The 2015 DAY OFF shows have been our craziest yet, and New York was no exception. 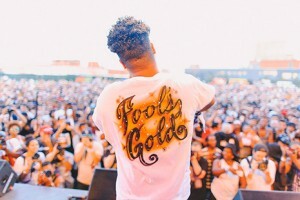 Labor Day in BK got SHUTDOWN in proper Fool's Gold fashion thanks to Meek Mill, Flatbush Zombies, Skepta, Post Malone, surprise guests Fabolous, ILOVEMAKONNEN, A$AP Ferg, and many many more, watch the recap vid and relive the vibes! Forever we love Atlanta! The 2nd ever ATL DAY OFF was a true celebration of Fool's Gold fans, family... and hoverboards. Watch our official recap video above to see what happens when the whole city comes out to rock with us! The first DAY OFF of 2015 blasted off in Los Angeles with Action Bronson, Travi$ Scott, A-Trak, and a zillion more special guests (Sosa! 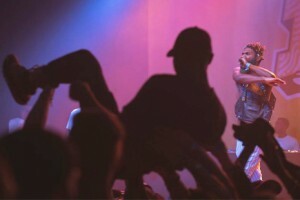 Vic Mensa! ), FG fam, and party people galore. Watch our official recap video and get psyched for more! Big thanks to Grand Marnier for helping make it happen. We closed out our biggest year of DAY OFFs yet in Miami during Art Basel, with a whole crew of heavy hitters taking the stage. 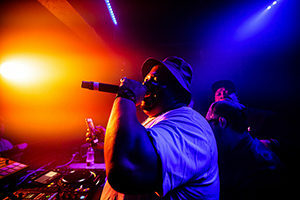 A-Trak, Danny Brown, DJ Mustard, Milo & Otis, Trippy Turtle, Giraffage, Nick Catchdubs, Flat White, Shash’U, The Outfit TX, OG Maco, Key!, Heroes x Villains… suffice it to say, the turn up was real. Our first ever Atlanta DAY OFF was start to finish party insanity. 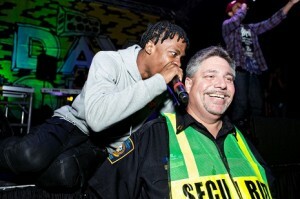 Danny Brown and Travi$ Scott? TI and Young Thug? Low Pros and damn near every awesome young ATL rapper in the game? If u guessed it… u was motherfuggin right. Watch our official recap vid for a lil snapshot of the vibes. Whenever Fool’s Gold touches down in Cali, you know we have to make it EXTRA extra! 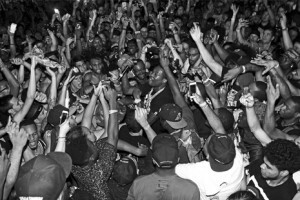 The ’14 edition of DAY OFF Los Angeles was our craziest show yet, featuring uber-hype sets from Danny Brown, Vic Mensa (in his LA debut! 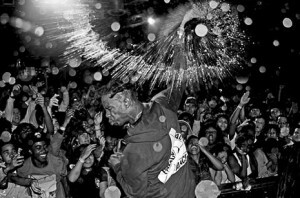 ), Travi$ Scott, gLAdiator, Kurupt, Hoodboi, Nick Catchdubs and Kittens, not to mention a very rare Invisibl Skratch Piklz reunion and surprise guest spots from Fredo Santana, Rome Fortune, and Big Sean. WHOA! Oh Canada! 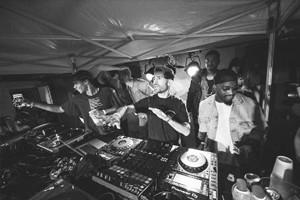 We threw our first ever international DAY OFF right in the heart of Toronto, bringing the turn up to Muzik Pool Bar with Danny Brown, A-Trak (accompanied by hometown OVO hero P. Reign), Lunice, Le1f, Tommy Kruise, Thugli, Nick Catchdubs, High Klassified and Sleepy Tom. If you were there, you got to share something special (big shout out to the kid who smuggled in Cool Ranch Doritos to give to Danny onstage during “Monopoly”). The first DAY OFF of ’14 was our craziest yet! 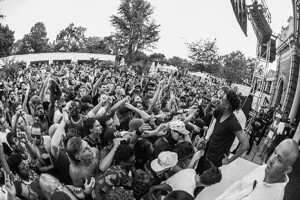 Danny Brown, French Montana, A-Trak, Araabmuzik, The Lox, Brenmar, Hoodboi B2B Falcons, Yung Gleesh, World’s Fair, Nick Catchdubs & B.I.C., Shash’u, Black Dave, GrandeMarshall, Cakes Da Killa, Ruff Ryders young’n Lil Waah and surprise guests galore: Bobby Shmurda, Remy Ma, Cam’ron, A$AP Nast, iLoveMakonnen, Travi$ Scott, Smoke DZA and more. 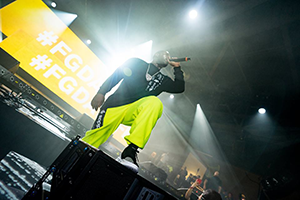 The last Day Off of 2013 was our best yet, headlined by Miami mayor Trick Daddy and featuring sets from A-Trak, Flosstradamus, Dave 1 of Chromeo, Young Thug, Brenmar, Nick Catchdubs, Damaged Goods, Eskeerdo, and very special guests Danny Brown and Travi$ Scott. California! Knows how to part-aay. 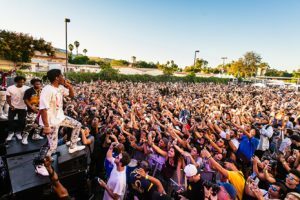 Our 2nd LA Day Off featured Danny Brown (with Schoolboy Q), A-Trak, Kill The Noise, DJ Quik, Freddie Gibbs, Nick Catchdubs with IAMSU and Jay Ant, Anna Lunoe, gLAdiator and more. 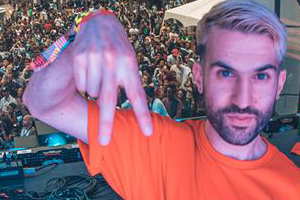 We brought Day Off to the Rockies for our first ever Colorado edition, packing the Balch Fieldhouse at CU Boulder with all manner of of party people getting down to the sweet, sweet sounds of A-Trak, Danny Brown, Carnage, Casey Veggies, Nick Catchdubs and gLAdiator. Brooklyn! We brought Day Off back home with our biggest party yet: Duck Sauce, Danny Brown, A$AP Ferg (and Rocky and the rest of the Mob), Migos, Run The Jewels, Unibros (aka A-Trak and Boys Noize), the big homie Action Bronson and more. 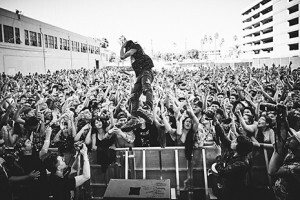 Day Off made it’s LA debut with A-Trak, Danny Brown, Chromeo, Cool Kids, Casey Veggies, Congorock, Oliver, Donnis, Kingdom, Nick Catchdubs and a few thousand of Cali’s finest party people. 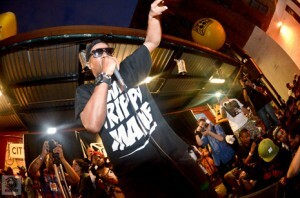 FG’s annual, free DAY OFF bash was once again NYC’s party of the year, a wild-out extravaganza for FG fans of all ages. 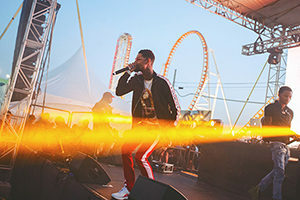 Check what went down with Danny Brown, Brothers Macklovitch, Just Blaze, Flosstradamus, Flatbush Zombies and many more impossible-to-miss acts. We trippy mane! 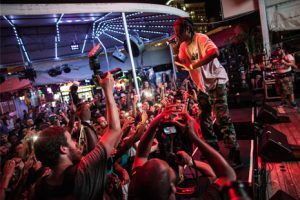 Our second annual DAY OFF was even crazier than the first, with Juicy J, Danny Brown, the Brothers Macklovitch (A-Trak and Dave1), Just Blaze, Cubic Zirconia, Party Supplies, Nick Catchdubs and very special guests ASAP Rocky and DJ Mehdi joining the festivities. 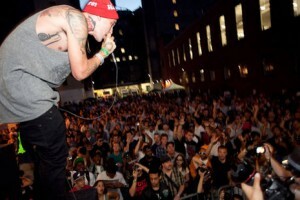 Check what went down at our first ever downtown Labor Day party featuring Yelawolf, the Fool’s Gold and Slow Roast fam and thousands of partying New Yorkers.